As we’ve done in the past, we gave the most weight — 38 percent — to clinical experience because of its effectiveness as a practical- training tool. Externships counted for 24 percent, while simulations counted for 21 percent. Both are considered valuable practical- training experiences, but they don’t quite rise to the level of clinical work. For clinics and simulations, we calculated the percentage of seats offered per enrollment. For externships, we looked at the number filled per enrollment. Responses from individual schools helped us determine the final 17 percent of the calculation. The best proxy for how other law professors react and respond to publishing in main, or flagship, law reviews is the US News and World Report (USNWR) rankings. This paper utilizes historical USNWR data to rank the top 100 law reviews. The USNWR rankings are important in shaping many – if not most – law professors’ perceptions about the relative strength of a law school (and derivatively, the home law review). This document contains a chart that is sorted by the 10-year rolling average for each school, but it also contains the 5-year and 15-year rolling averages. This paper also describes my methodology and responds to a series of frequently asked questions. [Were there any ties? If two law school’s 10-year rolling averages were within 2/10 of a point, I tied them and then attempted to break those ties based on the current year’s peer reputation scores. You’ll see that where there was a tie, I have included the peer rep scores in parentheses for those schools. If the peer rep scores were the same, I allowed the tie to remain.] The document was updated in April 2019. This essay summarizes the results of the U.S. News & World Report rankings published in 2018 and 2019 with respect to the academic reputation scores of law schools. In addition to analyzing the most recent results for the U.S. News rankings, the essay supplements the more extensive longitudinal study published by this author in 2013. The article also includes updated appendices from the prior study that catalog the U.S. News academic reputation scores for every law school between 1998 and 2019. The Hugh F. Culverhouse School of Law at the University of Alabama was recently ranked the eighth highest public law school in U.S. News & World Report’s list, and to celebrate, Hugh F. Culverhouse is fulfilling the last $5 million of his $25 million donation two years ahead of his original four-year schedule. In September of 2018, the University announced the donation of $25 million from Hugh F. Culverhouse. Culverhouse’s original plan was to make multiple installments toward his pledge over a four-year time period, but after hearing of the law school’s new ranking, he decided to pay off the last $5 million later this year. Here is the March Madness Law School Bracket, with outcomes determined by the 2020 U.S. News Law School Rankings (using academic peer reputation as the tiebreaker). The Final Four are Yale (1), Virginia (8), Michigan (9), and North Carolina (34), with Yale beating Virginia in the championship game. Since U.S. News & World Report released its plans to rank law schools on the basis of citation counts, the blogosphere has been agog in criticism of the proposed ranking (e.g., here, here, here, and here). Unfortunately, much of the consternation is based on pure speculation as to how the ranking will be constructed, resulting in an echo chamber of misinformation that has now led some law school deans to consider a “boycott” of the rankings. At the same time, other critics bemoan yet another quantitative metric to “rank” law schools, buttressed by concerns that a ranking based on faculty citations will do little to aid would-be law students focused on teaching quality and jobs. Here, I attempt to clear the air by dispelling this misinformation and by offering a brief defense of the proposed ranking. As background, I have been constructing a similar ranking with Paul Heald (at Illinois), using in part much of the same HeinOnline data that will be used for the U.S. News ranking. Additionally, I have been providing substantial input to Hein on its citation metrics. As such, I am intimately familiar not only with the limitations (and substantial benefits) of the HeinOnline database, but also of constructing such a ranking more generally. With that background, I address the major arguments lodged against U.S. News’s proposal in turn. In 2017, we published A Revealed-Preferences Ranking of Law Schools, which presented the first (intentionally) objective ranking of law schools. Other law school rankings are subjective because their purpose is to tell prospective law students where to matriculate. Our “revealed-preferences” ranking is objective because its purpose is to ask where prospective law students actually choose to matriculate. In other words, subjective rankings tell students what they should want, but our objective ranking reveals what students actually want. These rankings were originally based on an average of the previous five-years of LSAT and GPA quartile and median averages for law schools. We updated these rankings with a 2018 ranking that focused exclusively on the 75th, median, and 25th quartiles of each of these measures for the entering class in Fall 2017. We have modified our rankings yet again to evaluate law schools based not only on their success at matriculating the most desirable first year law students, but also on their success at retaining those students and attracting transfer students. This year for the first time, law school faculty members who teach in each specialty area rated the other law schools in that specialty area on a 5-point scale. Those schools with the highest average scores among those raters who rated them appear in the rankings and are ranked in descending order based on their average peer score they received in that specialty area. In all the previous law school specialty rankings, the law school raters chose their top 15 in a specialty area. This new methodology produced a significantly larger number of schools that were ranked in each specialty area – in some cases five or six times more. ... [A]ll programs that received 10 or more ratings are numerically ranked in that specialty. Schools with less than 10 ratings in a specialty aren't listed. [The response rate of the tax faculty survey was 50%.]. 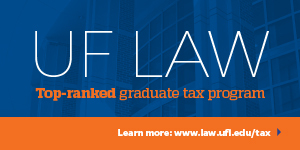 By now many of you have seen the news that Pepperdine Law has risen to #51 in the 2020 U.S. News Law School Rankings. Our rise is especially gratifying in light of the decision by U.S. News last year to remove us from the rankings when we self-reported a single data reporting error one week before the publication date (for more details, see the links at the bottom of this post). We have improved our ranking from #72 in 2017 to (unofficially) #62 in 2018 and #51 in 2019. This 21-point increase in our ranking over the past two years is the largest increase of any law school among the Top 100 law schools as ranked by U.S. News. We are in the second year of our plan to reduce the size of the student body by 20% to increase the quality of all aspects of our academic program. We do not chase rankings at Pepperdine Law. Every decision we make is guided by a single question: what is in the best interest of our students? Often those decisions produce a rankings benefit as well, and we gladly reap those results. I am proud that our rankings rise is driven by the increasing selectivity of our incoming 1L class, the improved outcomes achieved by our graduates, the additional resources we have been able to deploy to improve our students’ educational experience, and our growing reputation among legal academics, lawyers, and judges. 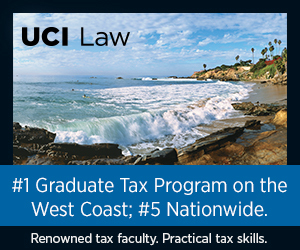 Pepperdine Law also was recognized by U.S. News for excellence in several specialty programs in rankings voted on by faculty in those fields, including rankings of #2 in dispute resolution, #32 in tax law, and #33 in clinical training. This news is especially meaningful to us following the Woolsey Fire last August which caused massive destruction in Malibu and threatened Pepperdine. Thanks to great planning by our university and the heroic efforts of firefighters on the ground and in the air, not a single building on campus was lost (for more, see the links at the bottom of this post). I have a confession to make. Our annual law school dinner is ordinarily held each year in early March. But after last year’s rankings hiccup, I decided to move this year’s dinner to March 30 so it would take place after the release of the new law school rankings. I was so confident about the direction of our law school that we decided that the theme of this year’s dinner would be that Pepperdine Law is “on the rise.” As I wrote when we re-opened the law school after being closed for 17 days after the fire (and following my emergency surgery for detached retinas in both of my eyes), Pepperdine Law Rises From The Ashes: Better, Stronger, United. 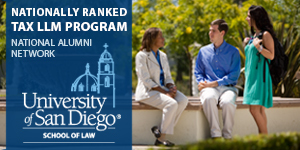 Back on the list this year is Pepperdine University School of Law, which nearly cracked the top 50, coming in at No. 51. U.S. News left Pepperdine off the rankings last year after the school flagged a mistake in the figures it had reported to U.S. News pertaining to the median LSAT score of its newest class. (U.S. News provides each school an early copy of the list to check the accuracy of the data.) School administrators predicted that Pepperdine would have claimed the 62nd position had the correct LSAT number been factored in. The school’s last official ranking was No. 72. Pepperdine law dean Paul Caron said he believes his widely read TaxProfBlog has helped spread the word about the law school and raise awareness of its strengths. That exposure, coupled with the stronger credentials and employment outcomes that the school has achieved due to smaller class sizes, has bolstered its ranking, he said. This year's list is unusually stable compared with previous years. But Pepperdine University School of Law nearly cracked the top 50 after the school was omitted from the list last year after flagging a mistake in the figures it reported pertaining to the median LSAT score of its newest class. After a big snafu last year, the law school's back on track. According to the leaked U.S. News Law School Rankings for 2020, what school’s ranking increased the most? Hint: Due to some misreporting, the school was unranked in the 2019 rankings, but the 2020 list puts them up 21 spots from where they were in 2018. Answer: Pepperdine. You can find out all about last years rankings misadventure for the school here, and read all about this year’s rankings here. Way to go, Pepperdine! After a rankings hiccup last year that landed the school among the unranked thanks to some misreporting, the school has soared. There's been a lot of talk among law professors about the US News plan to measure faculty scholarly impact in part by citations to faculty scholarship (see here for a blog post citing to commentary). While for now US News says it will not incorporate the citation rankings into its general law school rankings, US News may in the future replace the faculty reputation measure to some extent with a measure of how frequently professors are cited. That could create disturbing incentives for faculty hiring and retention, as well as affect what professors write about. This isn't just bad for consumer law scholars. It's also bad for consumer law, and indeed any subject that isn't taught at all or nearly all law schools. We simply don’t know (yet) whether these institutional biases exist or how they’ll play out. But I have a few preliminary graphics on this front. It’s not clear how Hein will measure things. Sisk-Leiter measures things using a formula of 2*mean citations plus median citations. The USNWR metric may use mean citations plus median citations, plus publications. Understanding that Sisk-Leiter is an approximation for Hein at this point, we can show the relationship between the top 70 or so schools in the Sisk-Leiter score (and a few schools we have estimates for at the bottom of the range), and the relationship of those schools to their peer scores. Is Email Making Professors Stupid — 'Digital Torture For Serious Scholars'? Which faculty will be included in the scholarly impact rankings? US News is requesting from each law school a list of all fall 2018 full-time tenured and tenure-track faculty. US News is also requesting that each law school identify each of these faculty members as doctrinal faculty, clinicians, librarians, legal writing faculty, or externship instructors. US News is still evaluating whether and how non-doctrinal faculty will be included in the rankings. At the time the rankings are published U.S. News will publish a methodology (see below), including a description of which faculty were included in the scholarly impact analysis. There are several lines of criticism. One group worriesthat releasing such a ranking will create incentives for law schools to focus too much on scholarship as opposed to teaching or cutting tuition. I don't have much to say to this group in this post, because that's a broader debate. Another group worries not about placing greater priority on scholarship, but about the idea of quantifying scholarly impact. Although there are real problems with quantifying scholarly impact, that too is a different debate. Scholarly impact or reputation is already quantified, it's just quantified through the use of a somewhat haphazard survey distributed by US News. In this post, I want to focus on the line of criticism from a third group, those who value scholarship and accept at least in principle the idea of quantifying scholarly impact, but worry about the narrow focus of using law review citations. One of the most common critiques that surfaced on the day of the announcement is that the proposed methodology will undervalue interdisciplinary work. Interdisciplinary work often appears outside of law reviews and is cited by publications other than law reviews. The concern is that if US News undervalues interdisciplinary work, then because of the sway that US News holds, it may even reduce the incentives for interdisciplinary work. We gathered detailed information from the religiously-affiliated schools and from other sources. From that data, we compiled a ranking based on: percentage and activity of students who belong to the faith; percentage and activity of faculty who belong to the faith; number of religion-focused courses and other ways the school incorporates the faith into the curricula; religion-related journals, centers and clinics; religious services and clergy at the law school; mission of the law school. At Pepperdine, social events and official ceremonies begin with prayer. That’s a significant part of the school’s culture. “It is not unusual that business meetings will likewise be convened with a request to God for prudence, understanding and guidance,” the school’s website notes. “Many of Pepperdine’s professors and administrators take the time to spiritually encourage and pray with students and others who need the care that those who profess faith are called to give.” Pepperdine is affiliated with Churches of Christ, but students of all faiths are welcome. Pepperdine University Law Dean Paul Caron, who closely follows the U.S. News rankings on his TaxProf Blog, said Thursday that he thinks the publication’s push to evaluate the scholarly impact of law faculties is a positive development. Tracking citations isn’t a perfect method, but it’s the best objective way to measure legal scholarship, he said. What are the Law School Scholarly Impact Rankings? U.S. News is considering expanding its law school rankings to evaluate each law school’s scholarly impact. This will measure a school’s faculty’s impact in terms of scholarly productivity and impact by using citations, publications and other accepted bibliometric measures. U.S. News is working with William S. Hein & Co., Inc. to complete this effort. What is U.S. News asking of law schools, and what role will U.S. News and Hein each play in the analysis? U.S. News is asking each law school to provide U.S. News with the names of its fall 2018 full-time tenured and tenure-track faculty. Each law school’s participation in the law school faculty survey is voluntary. U.S. News will then share each school’s faculty name and other faculty profile data with Hein, who will use this information to link each individual law school’s faculty names to citations and publications that were published in the previous 5 years and which are available in HeinOnline. Using this data, Hein will compile faculty scholarly impact indicators for each law school. This will include such measures as mean citations per faculty member, median citations per faculty member, and total number of publications. Those measures will then be provided to U.S. News for use in creating a comprehensive scholarly impact ranking. Will scholarly impact indicators factor into the next law schools rankings from U.S. News? Scholarly impact will not be a factor in the overall law schools rankings published by U.S. News in the late winter or early spring 2019. Rather, U.S. News is considering publishing a separate law school scholarly impact ranking during the 2019 calendar year. Will U.S News publish a methodology on its new scholarly impact ranking? In collaboration with Hein, U.S. News would produce a detailed methodology at the time of publication on how the rankings were calculated, how the faculty scholarly impact indicators were calculated and weighted, a description of the legal periodicals and publications used in the analysis, and other pertinent details about how the rankings were developed. U.S. News & World Report is expanding its Best Law Schools data collection with the goal of creating a new ranking that would evaluate the scholarly impact of law schools across the U.S. The intent is to analyze each law school’s scholarly impact based on a number of accepted indicators that measure its faculty’s productivity and impact using citations, publications and other bibliometric measures. U.S. News is collaborating with William S. Hein & Co. Inc., the world's largest distributor of legal periodicals, to complete this analysis. To begin the process, U.S. News is asking each law school to provide U.S. News with the names and other details of its fall 2018 full-time tenured and tenure-track faculty. Diversity has increased significantly since the early 1980s, and progress continues. In an effort to track that, The National Jurist has assessed and graded law schools for diversity every other year since 2013. This year, 60 law schools made our honor roll, which is determined by evaluating the percentage of minority faculty members [30%] and the percentage of students in five racial groups and comparing those to national averages [70%]. Temple University will pay nearly $5.5 million to settle a class-action lawsuit by current and former business-school students after the university acknowledged that its online M.B.A. program’s top spot in a nationwide ranking was based on false data. Under the terms of the settlement, for which a federal judge issued a preliminary approval Thursday, Temple will pay $4 million to students and alumni of its online masters of business administration program. An additional $1.475 million will go toward students from other Fox Business School programs for which the university said it also submitted incorrect data to U.S. News & World Report for its annual rankings. Professor Nicholas A. Mirkay is a relatively new member of the Richardson Law School faculty, bringing a wealth of expertise in tax law and governance issues as well as a detailed research agenda that includes a dissection of the new federal tax law — the Tax Reform Act of 2017 — and its implications. Those implications include the new law’s contributions to the growing wealth disparity in this country. Temple released the news near the end of a work week on a Friday at 4:40 p.m. EST right before the Christmas holiday. This blog posting updates my blog postings of December 2014, December 2015, March 2017, and December 2018 regarding what we know about the transfer market. With the release of the 2018 Standard 509 Reports, we know have five years of more detailed transfer data from which to glean insights about the transfer market among law schools. The number of transfers decreased to 1494 (4%), continuing a steady decline since a peak of 2,501 (5.8%) in 2013. It is also the lowest number and percentage of transfers we have seen since at least 2011. For the last five years, the transfer market has not been growing, it has been shrinking, having declined from 5.8% in 2013, to 5.2% in 2015, to 4.8% in 2017, to 4.0% in 2018. The following two charts list the top 15 law schools participating in the transfer market in descending order in Summer 2015 (fall 2014 entering class), Summer 2016 (fall 2015 entering class), Summer 2017 (fall 2016 entering class), and Summer 2018 (fall 2017 entering class). One chart is based on “numbers” of transfers and the other chart is based on the number of transfer students as a percentage of the prior year’s first year class. Note that in these two charts, the “repeat players” are bolded – those schools in the top 15 for all four years are in black, those schools in the top 15 for three of the four years are in blue. Nine of the top 15 have been on the list for the largest number of transfers all four years. Even though George Washington remains one of these nine law schools, the number of transfers it has accepted has declined from over 100 in 2015 and 2016, to 67 in 2017, to 31 in 2018. A handful of Democratic senators want an influential ranker of colleges to reconsider what’s important in higher education. Specifically, the six senators wrote in a letter to U.S. News & World Report, compiler of the most prominent college rankings in the country, that more weight should be given to institutions that open their doors to students from underrepresented backgrounds. “We urge U.S. News to use its influential platform to better align its rankings with the three longstanding goals behind federal financial aid: improving college access, supporting student success, and providing every talented student a pathway to economic stability and meaningful participation in our country’s economic, social, and civic life,” they wrote in the letter, released on Monday. College leaders, too, have warned that the nation’s obsessive focus on the ubiquitous rankings may carry significant costs. U.S. News appears to have gotten the message, at least in part. It tweaked this year’s rankings to give greater weight to the graduation rates of students who receive Pell Grants. But the new measures are only a sliver of the statistics that determine an institution’s ranking. The magazine also removed from the formula a college’s acceptance rate and reduced the importance of students’ standardized-test scores and high-school class standing, the type of markers more commonly associated with students who come from wealthier families. The senators acknowledged the “modest improvements” the publication had made in its ranking formula, but wrote that more needed to be done. The Princeton Review tallied its lists based on its surveys of 17,700 students attending the 165 law schools [an average of 107 per school] in 2015-16, 2016-17, and 2017-18. The 80-question survey asked students to rate their schools on several topics and report on their experiences. Some ranking list tallies also factored in school-reported data. Best Professors: Based on student answers to survey questions concerning how good their professors are as teachers and how accessible they are outside the classroom. Best Quality of Life: Based on student answers to survey questions on: whether there is a strong sense of community at the school, whether differing opinions are tolerated in the classroom, the location of the school, the quality of social life at the school, the school's research resources (library, computer and database resources). Our intent/goal is to enable more programs to get enough ratings to be ranked. We don’t expect raters to have in depth knowledge of a specialty in all schools. We do believe they likely know more than 15. They should definitely only rate the schools they know. Our intent/plan is that the law specialties rankings would be based on the average peer score and we would show the average score so there would be more of understanding of the “difference” between schools. 4.8 vs 3.2 for example. The Elite Teaching The Elite: Who Gets Hired By The Top Law Schools? Do you want to teach at a top 25 law school? If so, you had better excel at something you will encounter years before you will even consider applying to be a law professor. Something that has no relationship at all to the skills academics need. You better score extremely high on the Law School Admissions Test (LSAT) (or now at some schools the GRE). If you don’t score towards the very top, you will likely not be admitted to a top 10 ranked law school. And if you do not attend a top 10 ranked law school, no matter what you accomplish during the school you do attend (even a top 20 school) or afterwards, your chances of teaching at a top law school are virtually non-existent. The reality is that by far the most important credential one needs to teach at a top law school is to attend a top law school. The elite, teaching the elite, who will then teach more elites. The July 2018 New York bar passage rates by law school are out. Here are the results for first time test takers for the 15 New York ABA-approved law schools, along with each school's U.S. News ranking (New York and overall). Though citations are critical for communicating science and evaluating scholarly success, properties unrelated to the quality of the work—such as cognitive biases—can influence citation decisions. The primacy effect, in particular, is relevant to lists, which for in-text citations could result in citations earlier in the list receiving more attention than those later in the list. Therefore, how citations are ordered could influence which citations receive the most attention. Using a sample of 150,000 articles, we tested whether alphabetizing in-text citations biases readers into citing more often articles with first authors whose surnames begin with letters early in the alphabet. We found that surnames earlier in the alphabet were cited more often than those later in the alphabet when journals ordered citations alphabetically compared with chronologically or numerically. Which Law Schools Overperform And Underperform On The Bar Exam? The focus of this article is to build a foundation for exploring whether there is a meaningful solution to help address the bar passage problem that can be found looking to the legal education programs of law schools that are particularly successful in preparing students to pass the bar exam. To accomplish this aim, a critical and essential step is to begin to identify the law schools that are adding the most in terms of assisting their students to pass the bar exam. That first critical step is the step taken by this article. A common-sense assumption, which finds support in this article, is that students with lower UGPAs and LSAT scores are less likely to pass the bar exam than students with higher UGPAs and LSAT scores. The central question this article explores is that once a predicted bar passage rate is calculated based upon UGPA and LSAT scores, what law schools are over-performing and what law schools are under performing in terms of preparing their students to pass the bar exam? The Sisk rankings, which rank US law faculties based on mean and median citation counts, came out last month. Many Deans and faculty members spend lots of time discussing the most impactful faculties based on the rankings. After having a conversation with a friend at another institution, I am convinced that the Sisk rankings have it (partially) wrong. While it is interesting to see which non-scholars bring down particular faculties in terms of school-wide rankings or which significant individual pickups lead to a big increase (Orin Kerr and Herb Hovenkamp, for example, this last time around), school-wide rankings do not accurately reflect the impact of a school. The rankings tend to benefit schools with smaller faculties where one or two faculty members with high citations make up for a number of less productive or inactive scholars. I propose an alternative measurement to augment the Sisk rankings. I draw upon my NBA watching experience to explain. The biggest difference between the NBA regular season and playoffs in the NBA is largely one of a shrinking rotation. You want your better players on the floor longer because that is how you win games. Typically, but not always, your starting five players are your best players on the team and get the most minutes. Why don't we treat the faculty rankings in a similar way? The University of Alabama School of Law announced today a $26.5 million donation from prominent business executive and attorney Hugh F. Culverhouse Jr.
To honor Culverhouse’s impact and generosity, the UA School of Law will now bear his name, becoming the Hugh F. Culverhouse Jr. School of Law at The University of Alabama. The commitment includes a $25 million gift, the largest in the University’s 187-year history. The gift will be funded over four years; more than $11.5 million of the total donation has already been received. The Atlantic, Why Is College in America So Expensive? Forbes, How Much Attention Should You Pay To U.S. News' College Rankings? As I enter my 16th year as a college president, it is long past time for me to correct an oversight about which I have been in recent times most troubled. Even the most successful of human endeavors, however, can aspire to be better, so, while of course deferring in the end to their greater wisdom, I would like to offer to the compilers of The Rankings a modest proposal for their improvement that would save time and effort and offer greater benefits to colleges and their future students.